You asked for "any advise" and that was technical help. You should never measure the resistance of an airbag. You risk deploying it. Last edited by ES6T; 06-28-2015 at 08:11 AM. No VOLVO dealer service ever again. My 2002 S60 sat in my back yard for about a year or so, when I put it back on the road I noticed the SRS light and the warning light is on, I took to local shop to scan the system and it was (SIDE AIRBAG SIPS module) we reset it several time but we could not get rid of the warning, anyway I took it to the dealer which equated me for $1100 to replace the module and the under the seat parts + reprogram the system, damn dealer , I called VOLVO corporation to see if they can ((TECHNICALLY)) explain the sudden death of unused car part. anyway I found out the most shocking and unreal facts ever. 1- Volvo dealers are 100% independent and no control over them by the mother company. meaning if the dealer want to charge you $100 for a part that might be $5.00 at another dealer !!!!!! they can , VOLVO have no say . 2- If the dealer screw up your car VOLVO can't do anything about it, it is between you and the dealer. 3-The dealer have all rights to reject or accept repairing any volvo car they feel like,, again The mother company can't open it's mouth. After I driven Volvo for many many years ,, I think I will never buy another Volvo knowing that there are no SUPPORT once it is out of warranty. 2009 S60 US version if that makes a difference. CADE_27. can you or anyone else recommend where to get VIDA/DICE scanner that is not a piece of far east crap or that doesn't cost thousands of dollars? If no such exists then so be it. I have the exact same passenger airbag off issue that occured after Volvo's wonderful interior fan recirculate after you turn the car off drained my battery completely. Dated thread but I had the same issue with SRS AIRBAG SERVICE URGENT just yesterday (April 9th 2016). I used a AUTEL AL619 which I had bought for a 2002 Mercedes S430 last year but never used. Came handy now. I just bought this 2006 XC70 last week and didn't even get it inspected yet. Anyone around NY 11354 needing help . . . . message me. Just purchased a new AutelAL619 based on your advice. Unfortunately the 619 does not support volvo under SrsAbs module, specifically says it does in the manual but it does not, checked the unit online at Autel.com and software is up to date. Are you sure your Autel is not an AL619EU model? My vehicle is a 2004 V70 Canadian car with "airbag service urgent" on display. I have a 2006 XC70 and it worked perfectly. DON'T put in VIN but enter info manually by choosing year, model, engine etc. 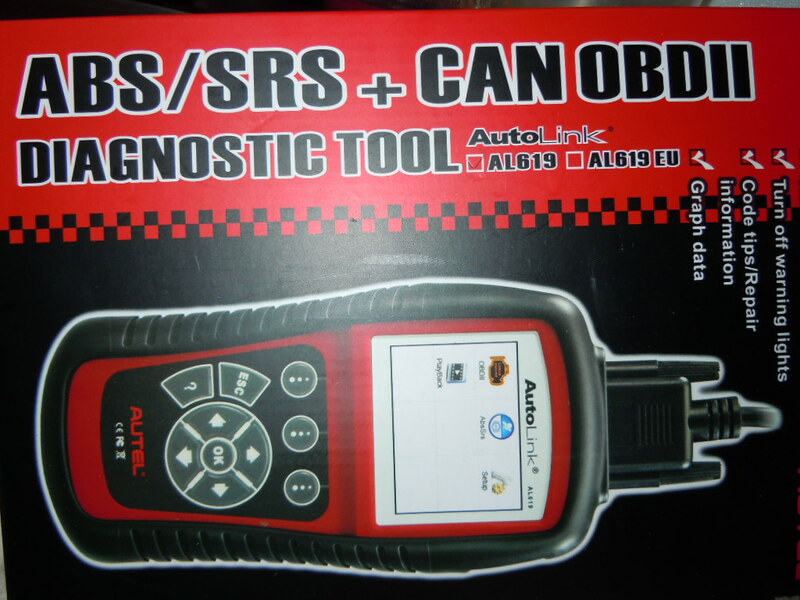 I tried a few times by letting the AUTEL check the VIN but even though it detected the VIN successfully it wouldn't get into the diagnostic mode for the ABS/SRS on my car saying that this function wasn't supported just as you mentioned. Then I entered the vehicle info manually and VOILA ! SRS code found and it asked if I wanted to delete and I clicked YES and it was gone. 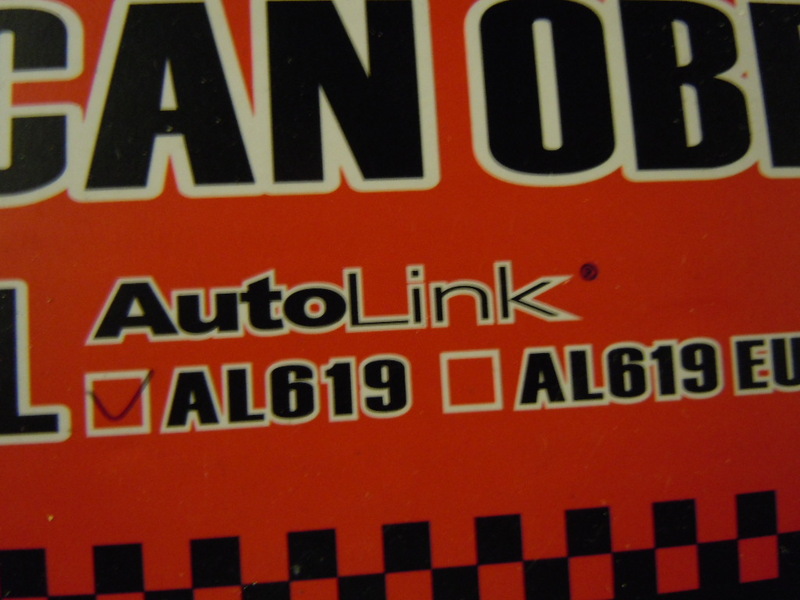 I have a AUTEL AL619 not AL619EU. I've attached pix of the box for my AUTEL. Checkmark on AL619. Let me know if you need more help. We can go thru it by phone step by step. I'll run the AUTEL on my end connected to XC70. Last edited by maurinquina; 04-25-2016 at 11:57 AM. I hear if you dis connect the negative whenergy you connect the Battery again to have the key in the on II position (second position) to have the SRS NOT come on. Otherwise it's always supposed to. I know this is an old thread but it came up when I did a Google search on "SRS airbag service urgent". I had the same problem when I removed the center console to replace some lights, and of course didn't disconnect the neg side of the battery. Luckily I stopped at a local shop that does a lot of foreign car work. He has a snap-on scanner and was able to clear the message. Charged me $10. Thought that was a steal. When you disconnect the radio this will happen. It has nothing to do with disconnecting the battery. My Volvo mechanic showed me the schematic of the warning lights. The radio is in line with the airbags. So when the radio is disconnected, the computer freaks out and sends this warning. Buy a code reader and erase the code and you should be good to go. Anyone with the SRS Airbag service urgent problem, just follow this guide. Explains every possible problem and how to reset the light youreslf.